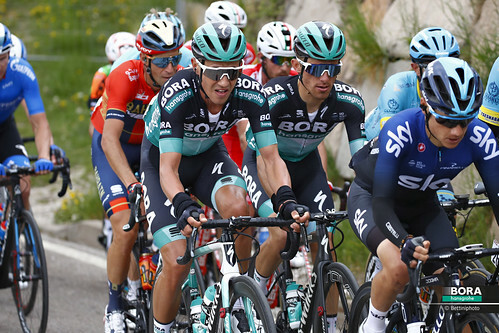 The queen stage of the Tour of the Basque Country consisted of 150 km from Arrigorriaga to the iconic pilgrimage church of Arrate, which today served as a finish town for the ninth time in a row. In the first half of the race, the riders had to conquer no less than four third category ascents, before taking on the first category climb to Izua 40 km ahead of the finish. With 2 km remaining, the course went uphill again, this time featuring a first category climb, the Alto Usartza. 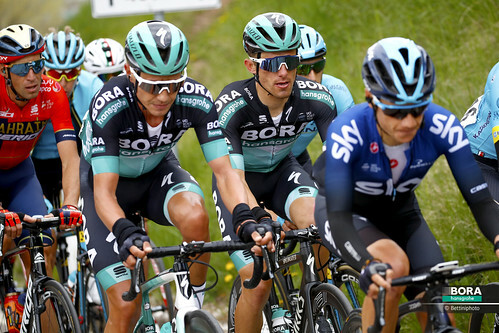 Numerous attacks and changes at the head of the race were seen in the first 100 km of racing, before Gregor Mühlberger and another rider were able to put some distance between themselves and the field. The duo was pursued by a 25 man strong group also containing Patrick Konrad and Max Schachmann. On the brutal climb to Izua, Gregor wasn’t able to keep up and had to fall back. 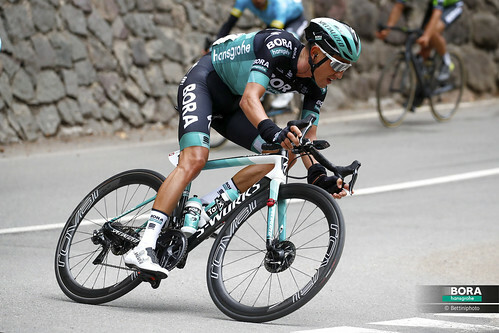 However, a little while later, Emanuel Buchmann was able to make the jump into a small leading group, and from there, he attacked at the foot of the next climb. Several riders took up the chase behind him, however, he was too strong for them and they were not able to catch up with him. 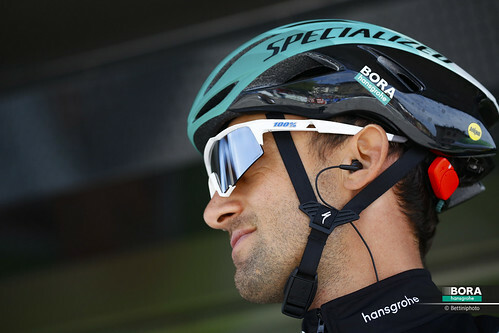 With that move, he took the victory on the queen stage of this year’s race, and the lead in the general classification. Teammate Max Schachmann crossed the line in nith position, and now sits in third overall, while Patrick Konrad took tenth position and now holds sixth place in the overall standings. 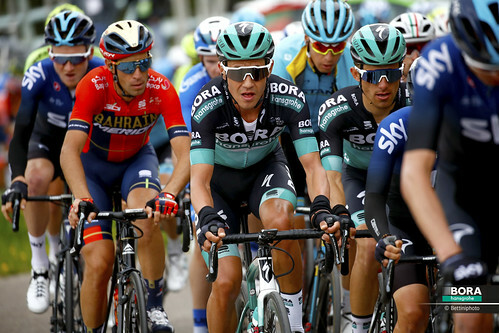 Max was also able to successfully defend his blue and green jerseys, and BORA – hansgrohe currently leads the team classification.